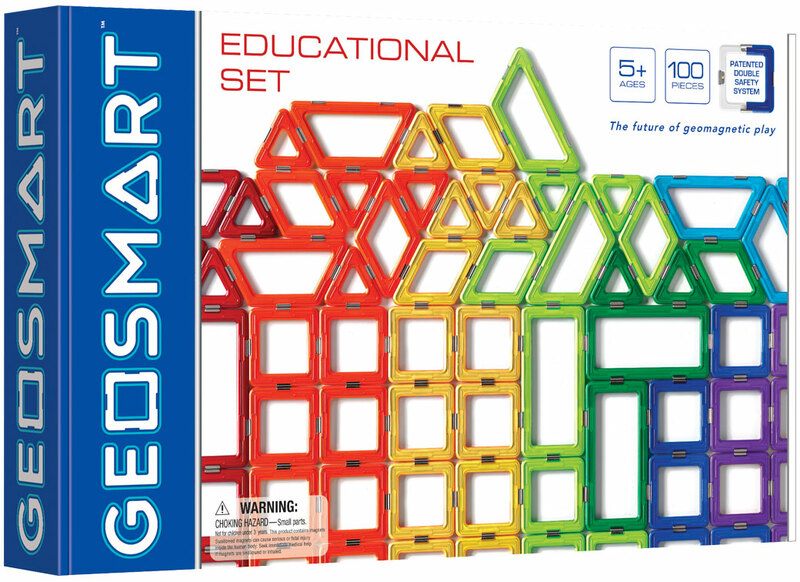 GeoSmart is the new GeoMagnetic construction system featuring strong pieces, bright colors, and a new patented double-safety system. Fans of Star Trek may want to borrow the phrase make it so! once they get their hands on GeoSmart’s new line of magnetic construction sets, available just in time for holiday shopping. With out-of-this-universe kits to create a remote-control Mars Explorer ($79.99) or (gasp!) Alien Creatures ($99.99), kids as young as 5 years old will be enjoying a STEM lesson without even realizing it. 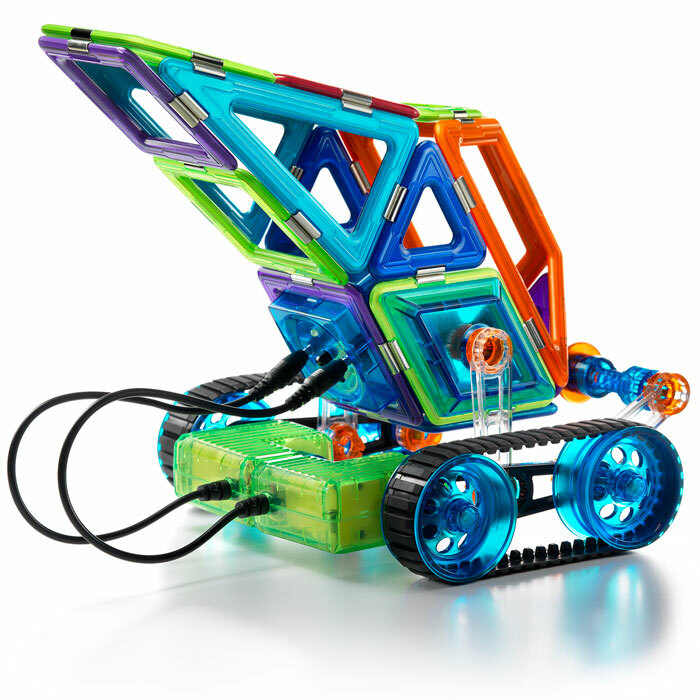 Little engineers will be drawn to the brightly colored pieces that transform triangles and squares into a moving Lunar Rover ($49.99). Check the whole collection out on Amazon. Magnetism is a force that pulls or pushes. Youngsters are naturally attracted (pardon the pun) to magnetic construction sets for the simple pleasure of problem solving. Does this end fasten to this piece? The benefits of this delightful play are unlimited: creative thinking, pattern recognition, fine motor skills, eye-hand coordination, decision making and even social abilities. Add all the elements of STEM basics – science, technology, engineering and math principles – and you have a smart toy without the need for Wi-Fi! What makes GeoSmart’s line of durable magnetic construction kits stand out to parents is the safety pledge. 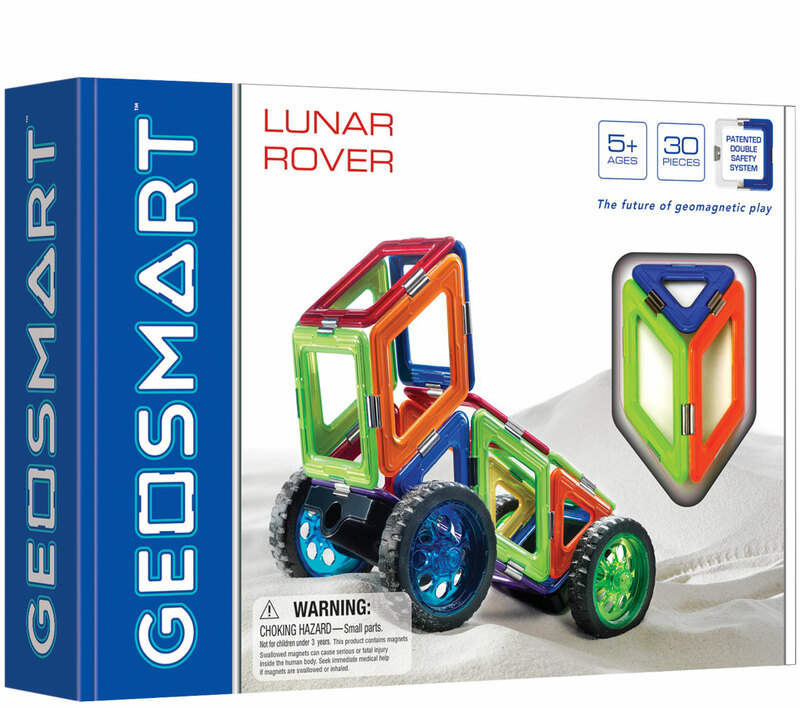 Kids love to tinker and parents will feel secure with GeoSmart’s patented double-lock safety system. Each magnet is encased twice to ensure the building piece and not the magnet will be visible to young fingers. This sets a high bar for safety in magnetic construction toys. GeoSmart structures feel strong and sturdy. 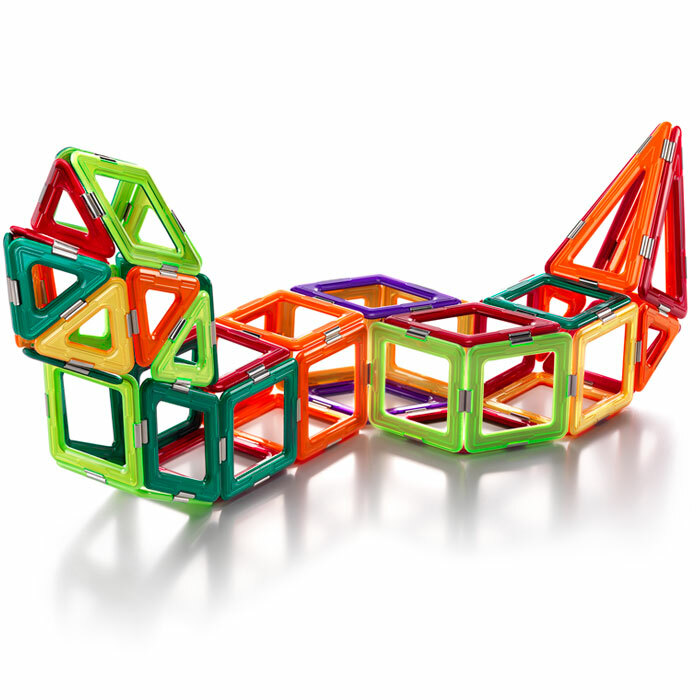 Parents, grandparents and teachers have been impressed with GeoSmart’s sleek designs and strong pieces that lock together to form some incredible geometric shapes. For the ultimate class gift to a favorite teacher or family, consider the 100-piece Education Set ($139.99) Every student or child can benefit from crafting an animal or a vehicle or something abstract as they let their imagination soar. Brooke’s Thoughts: Brooke adores the GeoSmart Lunar Rover and has spent many hours constructing this vehicle. Your child gets to explore new horizons with the Lunar Rover. 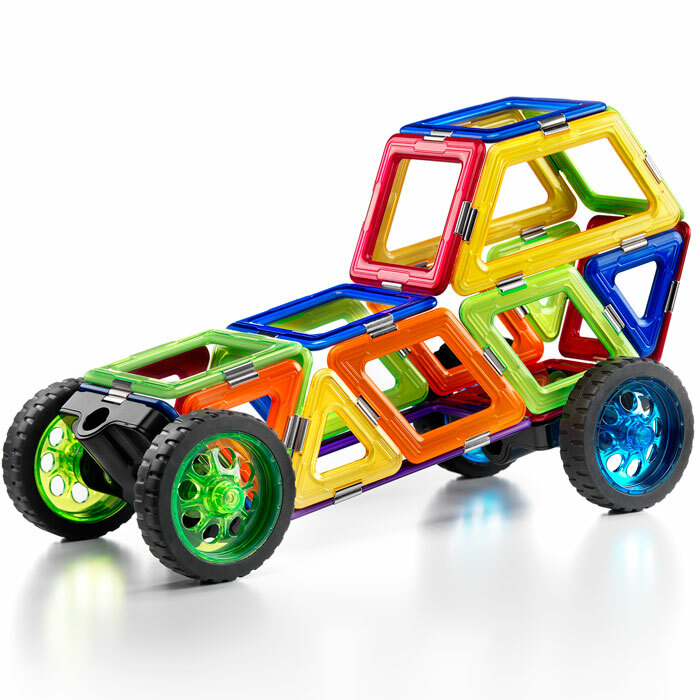 This 30-piece magnetic construction set features 5 different geometric shapes and wheels. 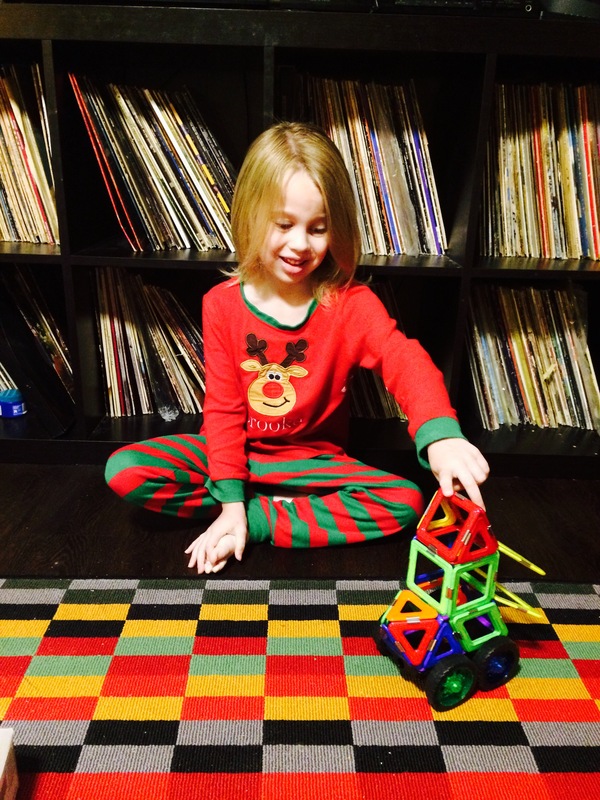 Your child will be able to amaze themselves in building and watching their rover go! The enclosed wheels bring movement to each construction. Check it out! Download the Lunar Rover Instructions HERE. (c) strong magnets and high-quality materials. These kits are all safe and designed for Ages 5+. Follow GeoSmart USA on Facebook, YouTube, Twitter, Pinterest, Instagram, and Google+, and on the brand’s website, www.GeoSmartUSA.com. combines artistic and mathematical elements to create a variety of designs; and online brain-building fun for both children and adults at www.SmartGamesLive.com.